I wrote about OnlyBeauty (Haven't read that post? HERE!!!) 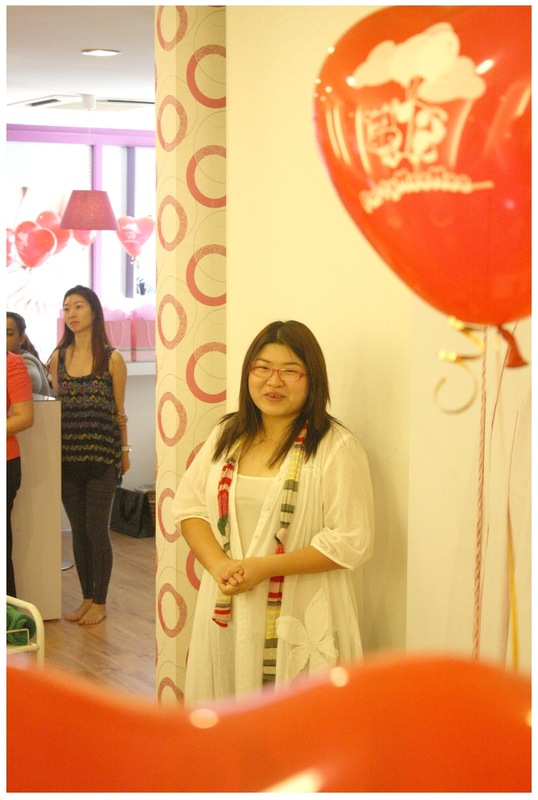 and here I am, as one of the bloggers who gets to attend OnlyBeauty's Bloggers Launch Party that took place Posh! 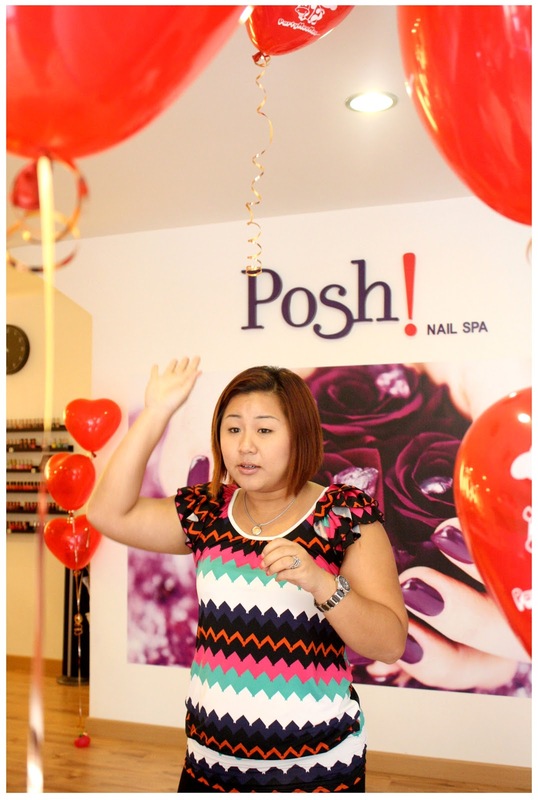 Nail Spa. The launch party starts at 10a.m. and imagine I got to wake up at 8a.m. to prepare myself and fetch Jean and Lisa and headache bout the roads in T.T.D.I area, but still manage to find the exact location of Posh! Nail Spa thanks to Jean's phone haha. Reached that road only I remembered I went to the same area for casting years ago. 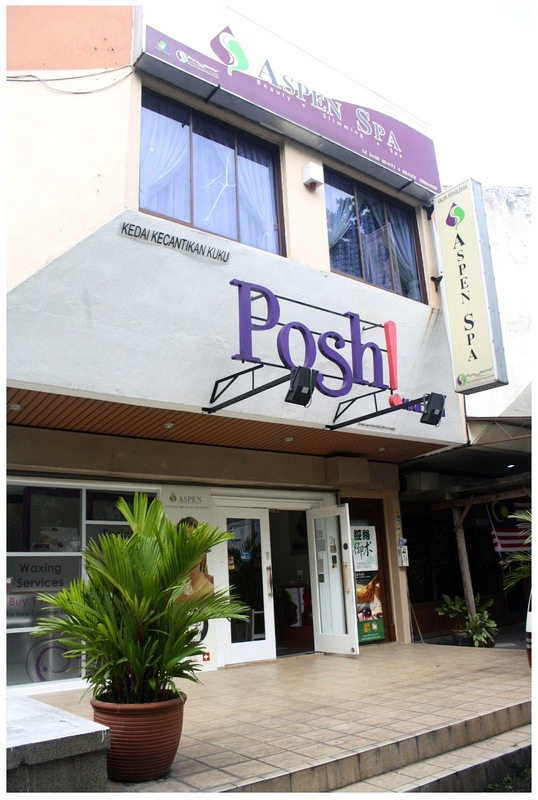 Located at 31, Lorong Datuk Sulaiman 7 Taman Tun Dr Ismail, 60000, KL. I thought we were 'quite' on time but I was wrong... There are already so many bloggers reached the place and they are starting their pedicure session! So automatically we're sorted into Batch 2, who will start off the launch party programme with Laughter Yoga. 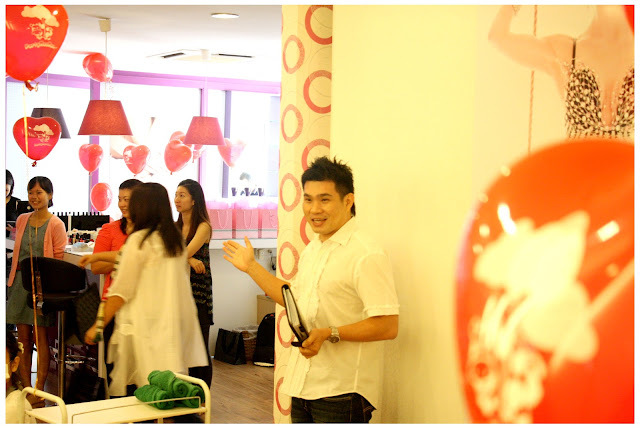 All the wonderful people that made the launch party of Only Beauty Bloggers programme a success! He's the President of OnlyBeauty. Of course, how can we go on without having Tammy from Plus Size Kitten speak a word or two? Without her arrangements, there won't be Only Beauty Bloggers and the launch party! Like what Lisa said, we're the Setapak gang! Haha. We should hang out together more often. 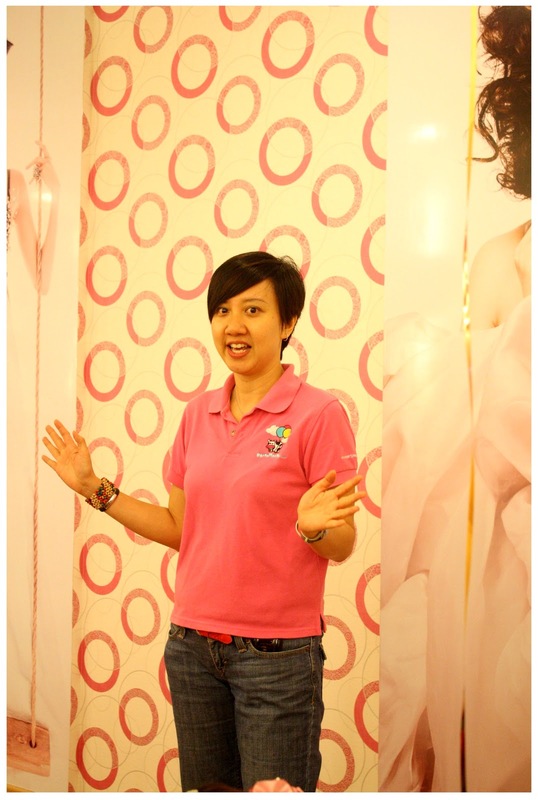 She's Kitti, and she's our Laughter Yoga instructor. She's fun and bubbly and I really like seeing her laugh, it makes me laugh at the same time too. She can laugh and laugh non-stop over some very small stuff, let's say - the laughter of Fatin or out of nothing. Her hearty laugh did shocked me at first but then, it infected me and I start to feel happy and I wanted to laugh whenever I hear her laugh. lol. That's why they say: Laughter can be infectious. Laughter Yoga started from India since the mid 1990s. The concept of this Laughter Yoga is this: Fake it until you Make it! Yes. It is that simple. Our body can't differentiate real laugh or fake laugh, so even though you fake your laugh, Endorphins will still be produced inside our body and from the view of beauty aspect, Endorphins make us stay young and beautiful! Now, tell me, have you found a reason to laugh? I surely found mine! There's a Laughing Contest in the end of the day guess what, Fatin won the contest with her unique laughter that even Kitti surrendered in the end. Hahahahahahaha make me feels like laughing now when I try to recall the laughing contest. Ever since I had my first manicure session done, I'm pretty much addicted to manicure and pedicure. Make-up on my face can't satisfy my hunger for being beautiful anymore, I need to be beautiful in every possible way I can, including my nails and toe nails. *Super Vain Reiko appears* Thanks to Posh! Nail Spa who sponsored the Gel Manicure and Classic Pedicure to each and every bloggers, we get to leave the place with beautiful colours painted on our nails. They're using higher technology of LED UV Machine which only took 30 second to dry a layer of gel coat where normal UV lamp took about 2 minutes! Fast and efficient, me likey~! While getting pampered with pomegranate scrubs and nails trimming, we were greeted by Evelyn who is from PartyMooMoo which happens to be a Color Therapist as well. She will help us find and understand more about ourselves by letting us know what colour personality we are. Guess which colour personality I am. Enthusiasm, fun, health, wide interests, humour, expressive. You love life, decide what you want and go for it! So these are some key points personality of an Orange colour personality person, but deep inside, I wanted to be a Blue person. If you happens to be rejecting or disliking a colour, there's an explanation for this as well - You refuse to be something. Like me, I never find Orange colour to my liking, I try to avoid Orange whenever I could, I don't have anything Orange in colour in my wardrobe... But Evelyn said: Look deeper, there's a reason why you dislike your own colour personality. Now I know why, and I'll try to grow some love for my colour. 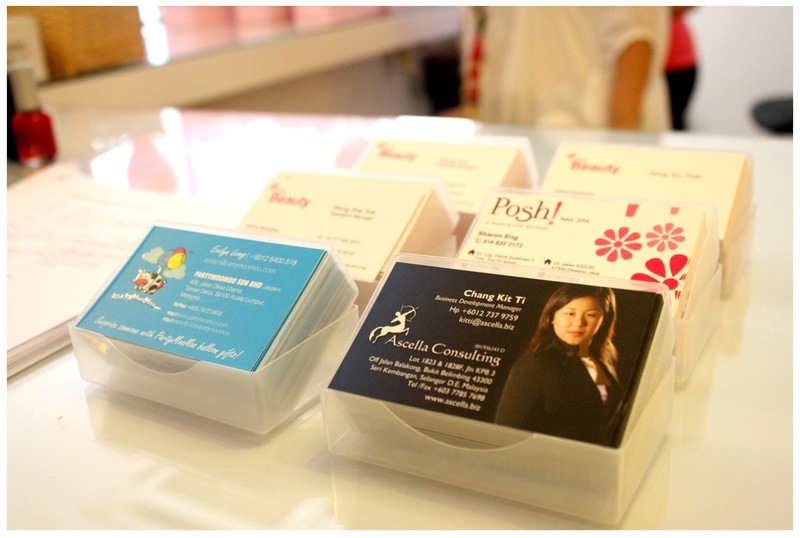 If you want to know more about Colour Personality, do hop to Colourzwork and see what they have to offer! By the time we done our mani and pedi, it's already past 1p.m. and gosh we're starving. What greeted us was delicious food, beautiful cupcakes and a super duper awesome cake! I had 2 of this! 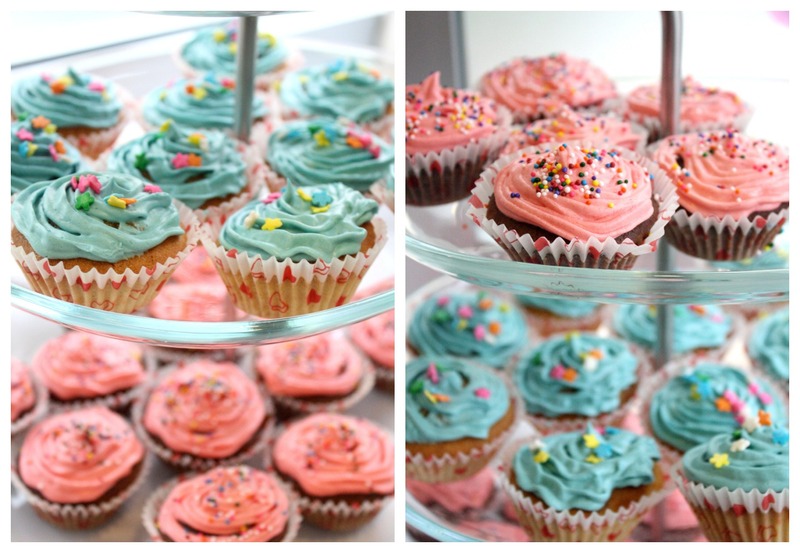 They are delicious~!!! LOLA Cake, signature from Wondermilk. 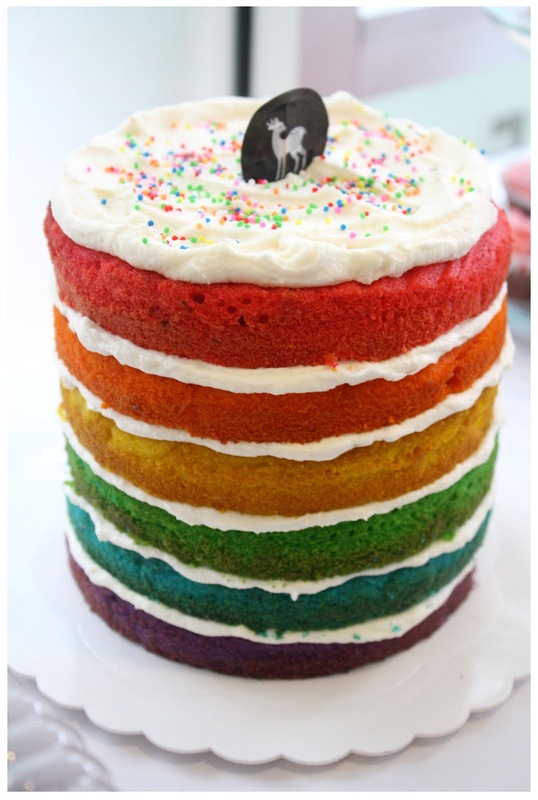 This is my very first time seeing a rainbow cake with my own eyes that I puked rainbow, literally. I swear I'm gonna get this as my birthday cake next year!!! 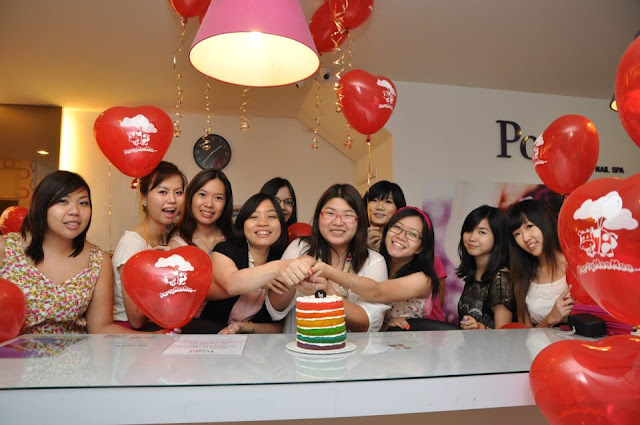 The launch party has come to its climax - cake cutting ceremony with Tammy and all the bloggers that attended the party that day! Last but not least, a group photo with all of the girls. 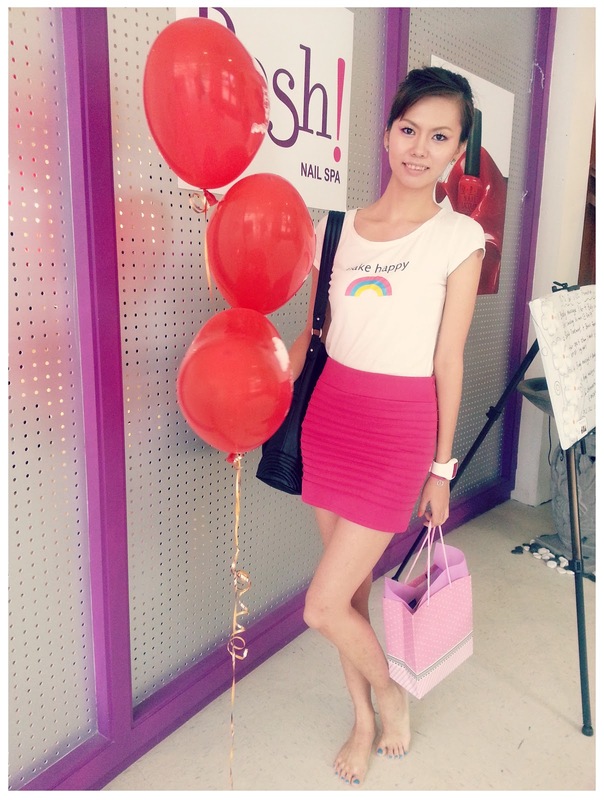 Thank you for the goodie bag that fills with tons of L'oreal products, I feel like a L'oreal Ambassador lol. 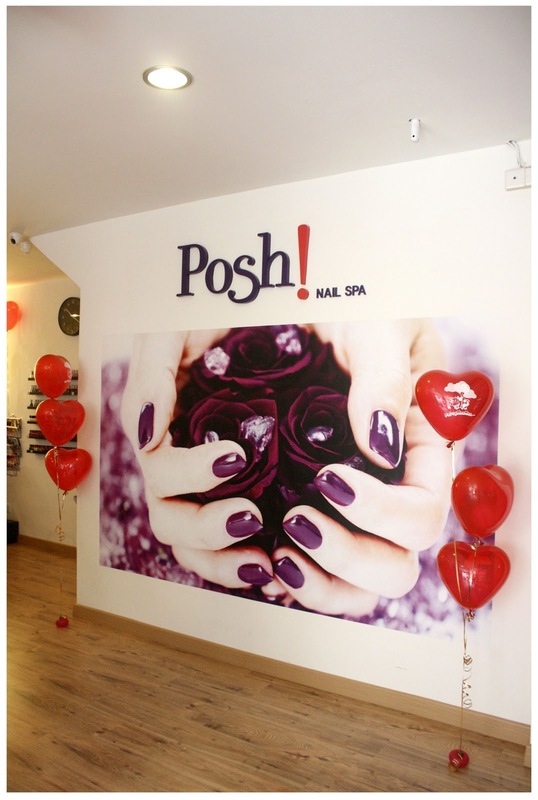 Thank you very much to OnlyBeauty who organized this launch party to welcome us bloggers on board, and Posh! 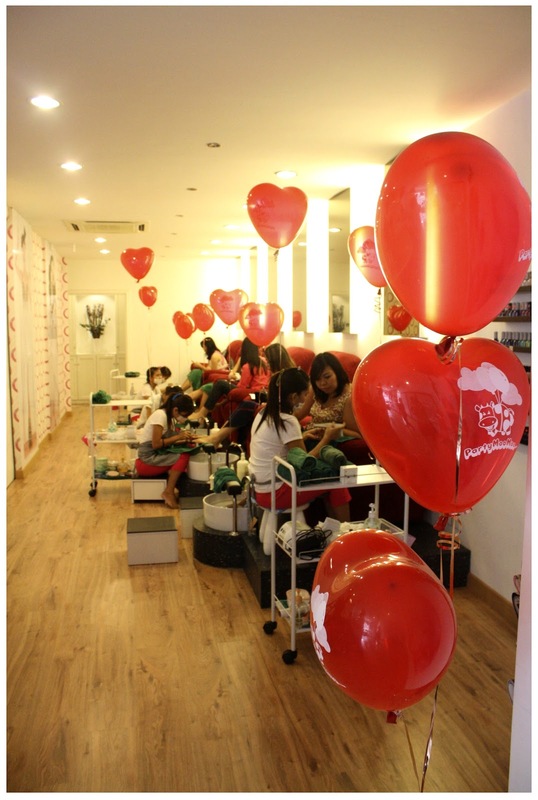 Nail Spa for the wonderful manicure and pedicure session. Of course, not to forget, Kitti the Laughter Yoga instructor that makes us all had a good workout just by laughing out loud and Evelyn to help us understands ourselves more and more. It was really such a fun girls day out with the bloggers who share the same passion about blogging and beauty stuff.